This acrylic aquarium kit from SeaClear is complete, yet fits most any space or budget. The 8 gallon hexagon has a designer canopy with fixture and bulb, an integrated stand, external power filter, plastic plants, net, fish food, and water conditioner. 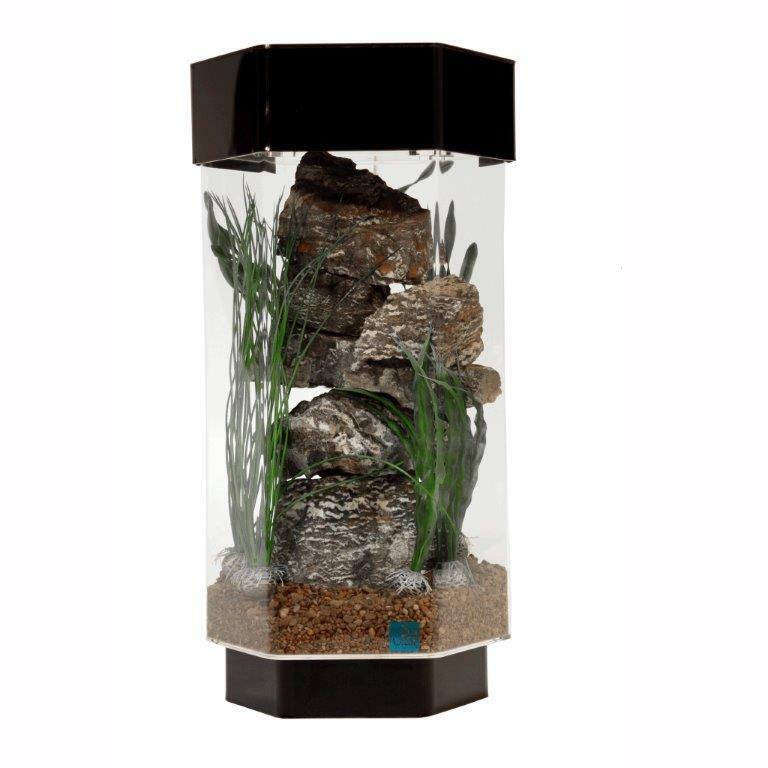 Made from the clearest material available, SeaClear acrylic aquariums are 17 times stronger and less than half the weight of a comparably sized glass aquarium. Since acrylic is impervious to the corrosive effects of saltwater, SeaClear acrylic aquariums are suitable for both fresh or saltwater use. SeaClear acrylic aquariums, manufactured by CASCO Group, Inc., carry the limited lifetime warranty against leakage.